With the constant evolution of technology, these IT tasks can be daunting and can easily keep any business owner up at night, especially if they’re just starting out. Thankfully, Dell EMC can guide you through every step of your IT journey – from helping choose the right server to optimizing it to meet the needs of your business. 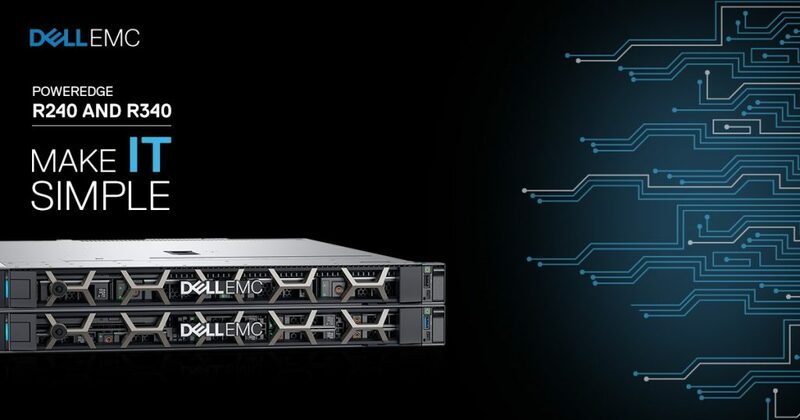 For small and medium business who might be looking for their first rack server, Dell EMC offers the PowerEdge R240. For medium and large business looking for an entry-level server for their data center deployment, the PowerEdge R340 is the ideal solution. The PowerEdge R340 is a 1U single-socket rack server designed to boost productivity, scale at your own pace, and help you simplify your IT infrastructure. The R340 is great for file and print, mail and messaging, and collaboration and sharing. In addition, this server can be your backup recovery solution with features like hot-plug drives and power supplies. Affordability, productivity, and simplicity these are the cornerstone requirements for businesses worldwide. Dell EMC offers the breath of innovative product solutions and services to help you solve your IT challenges. Visit dellemc.com/servers to get started.